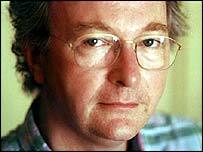 Acclaimed author Philip Pullman leads the arts and literature names in the New Year Honours list, after being made a CBE. His book The Amber Spyglass - part of the His Dark Materials trilogy - was the first book aimed at younger readers to win the Whitbread prize in 2002. Last month hundreds of fans queued up at an Oxford bookshop as he signed copies of his latest book, Lyra's Oxford. Travel writer Patrick Leigh Fermor becomes a knight in the diplomatic list in recognition of a long career. The 88-year-old, who served behind enemy lines in Crete during World War II, continues to write extensively about his experiences. His honour also marks his contribution to relations with Greece. Scottish Opera's musical director Richard Armstrong leads a strong contingent from opera and classical music. His knighted for his services to music, as recognition for a career which seen him conduct at the Royal Opera House and the English National Opera. He has also led orchestras in Geneva, Frankfurt, Berlin, Sydney, Paris, New York and Tokyo. 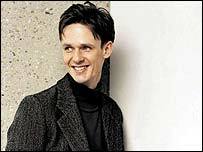 Ian Bostridge, regarded as one of the world's finest tenors, is made a CBE, as is BBC Philharmonic Orchestra conductor Dr James McMillan. Welsh singer Iris Williams is made an OBE on the diplomatic list. Her version of the song He Was Beautiful was a top 20 hit in 1979. Conductor Owain Arwel Hughes, who launched the Welsh Proms in 1986, is also made an OBE. Composer Debbie Wiseman becomes an MBE for services to the film and TV industries. Her most recent work includes music for political drama The Project, crime dramatisation Shipman, and Judge John Deed. June Mendoza, regarded as one of the finest living portrait painters, becomes an OBE. She is famous for painting the House of Commons in mid-session, involving 440 portraits.